Fast and convenient single-source access to all three national credit bureaus. Goes beyond the credit report by providing consumer demographic and lifestyle information. In compliance with Federal regulation, a Risk-Based Pricing compliant Credit Score Disclosure. Screen your customers against the most current Office of Foreign Assets Control (OFAC) list with each credit report. 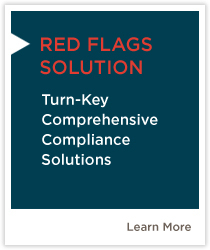 Helps meet Red Flags Rule compliance and protects your dealership and customers from identity theft. Protect consumer information from the risk of fraud and identity theft. Provides a three-digit numeric score that indicates the level of risk associated with that customer. Delivers highly-qualified ready-to-buy leads—directly from your website.